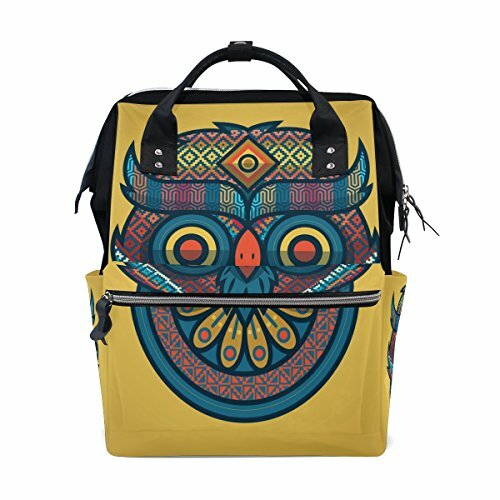 This backpack has lightweight wear-resistant nylon fabric and canvas soft back panel, high-quality metal smooth zipper;Multiple pockets design make your stuffs lay in the bag systematically.That can be used at any occasion and durable enough to hold a lot of books, which is suitable for teenager also can be used as casual bags for ladies.You can take it to school, college, shopping, cycling, traveling, dating, etc. Durable - Made with high quality water and tear resistant material, durable abrasion resistant metal zipper available. Stylish Design - A main capacity bag, 2 side pockets, 1 front zip pocket, inside 8 small storage compartment, multi-pocket design, side zipper, easy to take away. Light Weight and Roomy - The canvas was in a light weight. And the backpack doesn't have too many superfluous compartments, but only the necessary pockets. Try best to make the bag simple, but useful. Flexible Straps - The backpack has padded adjustable straps that make it comfortable to carry, and the cushion with high permeability material. If you have any questions about this product by THENAGD, contact us by completing and submitting the form below. If you are looking for a specif part number, please include it with your message.